Won’t you join us for our yearly Pranzo di Natale at La Cumbre Country Club? It is a perfect way to celebrate your Holiday Season as this year, once again, we will enjoy an incredible Pranzo di Natale, a Xmas Buffet Brunch! Dress Code: NO DENIM OF ANY COLOR! Deadline for Reservations: TUESDAY, DECEMBER 11th, 2018. Below, after the reserve/pay section, you will find a short article with many gorgeous photos, “Getting to Know Italy: the Capodanno in Rome, Venice and Naples and the Epiphany in Florence.” It will be informative and fun. Celebrating New Year’s Eve in Italy is the perfect backdrop to ring in 2019. 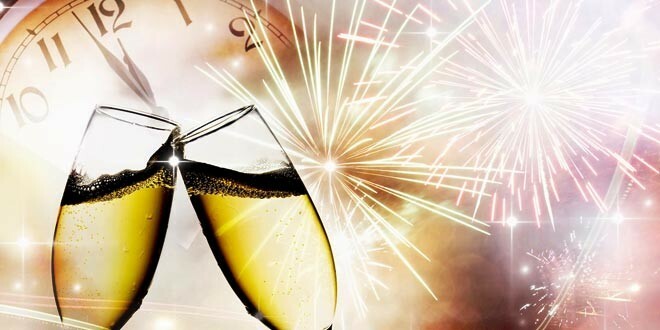 Il Capodanno, New Year’s Eve, is celebrated along the Boot with lively festivities outdoors, a large feast with family and friends, an intimate dinner or dancing until sunrise. 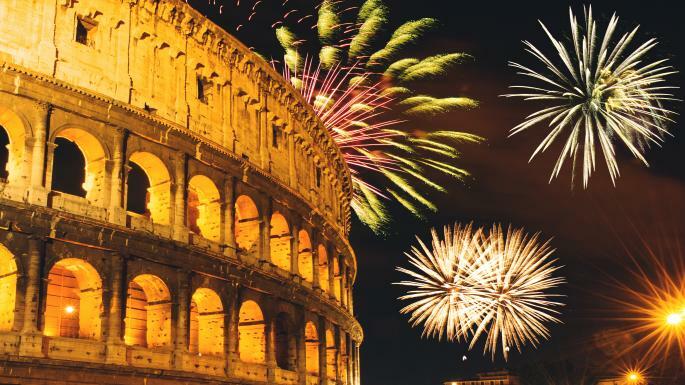 A large city such as Rome has many venues to celebrate New Year’s. One of the most popular places has always been Piazza del Popolo. 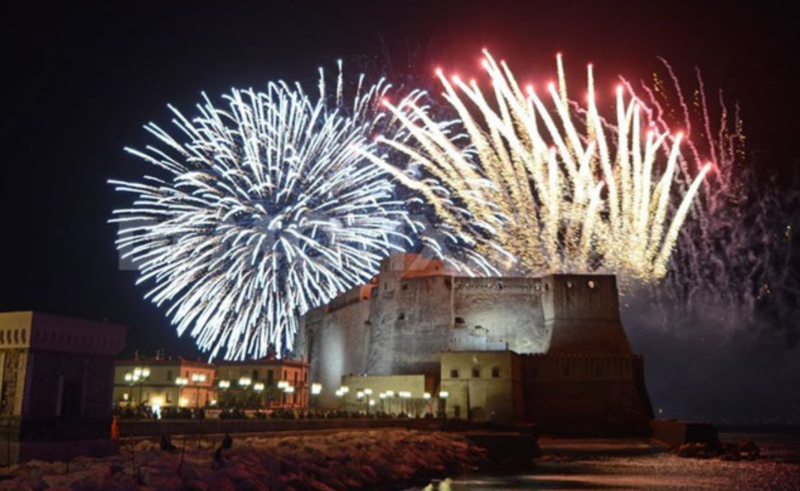 During the evening, Italians celebrate with free concerts, dancing and at midnight, firework displays. The next morning, the piazza is transformed into a children’s area. Children’s eyes grow wide in awe as acrobats and performers offer a free show. A wonderful exhibit of the Presepe, the Nativity scene, is on display at the nearby church of Santa Maria del Popolo. One of the most impressive outdoor celebrations is found near the Colosseum, on Via dei Fori Imperiali. Music starts around 10 pm, and at midnight a firework show soars over the ancient ruins. 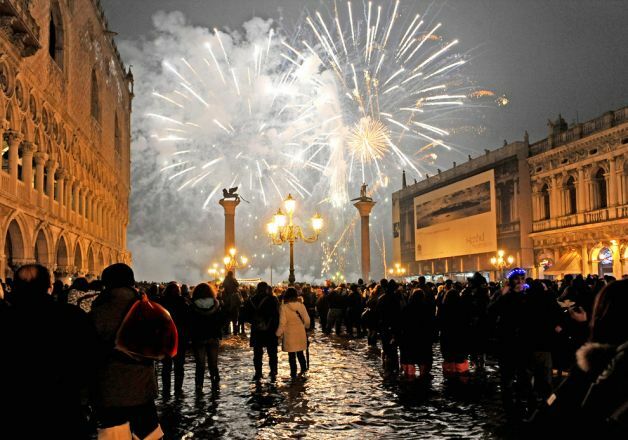 Celebrating the new year in Venice is an elegant affair. Glamorous galas and huge feasts are organized around the city’s palaces and famous restaurants. Diners expect to pay a small fortune, but are given incredible food and wines and, no matter where they are, cheer is free and never in short supply. For those wanting fresh air, Piazza San Marco is the answer. The piazza is filled with music and fireworks while people hug and kiss each other when the clock strikes midnight. Partakers fill their glasses with a Bellini, a Venetian cocktail made with Prosecco and peach juice, and toast to the New Year during the Bellini Brindisi. 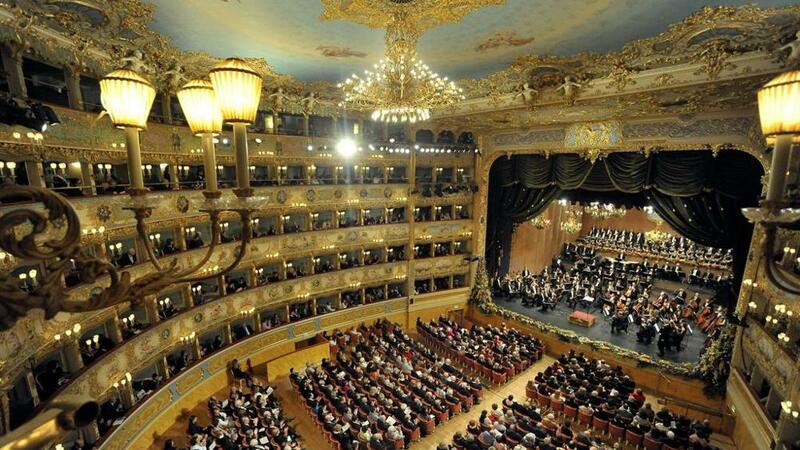 La Fenice Theater has concerts to celebrate both New Year’s Eve and New Year’s Day. New Year’s Eve, however, hosts an elegant party and a midnight toast after the performance. 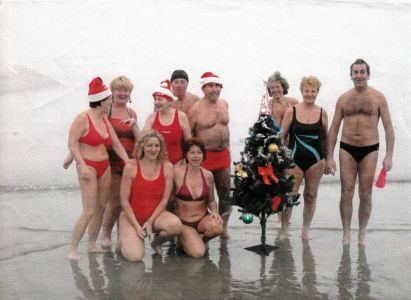 Sleepy or hung-over party goers can take part in an interesting tradition to ‘freshen up’ – a cold swim in the icy waters of Venice’s Lido Beach on New Year’s Day! Lovers of lights and fireworks should head south to Naples. It offers one of the largest displays of lights up and down the city’s Bay, casting gold, red and green reflections onto the water. The hot place to be is the enormous Piazza del Plebiscito that holds an annual outdoor party with music. Expect to dance deep into the night under the starry sky. And finally, a tradition that is still alive in Italy, especially in Naples and Rome and for which you should be warned: fireworks are not the only things up in the air! Naples and Rome are two of the few cities that still practice the tradition of throwing old objects out of the windows! “Out with the old, In with the new” at midnight has been taken to a new level as chairs, blow dryers, pots and pans, old plates and glasses and random items fall to litter the streets below! So if you’re wandering around old Naples or some areas of Rome during Capodanno‘s midnight period, do keep an eye out! 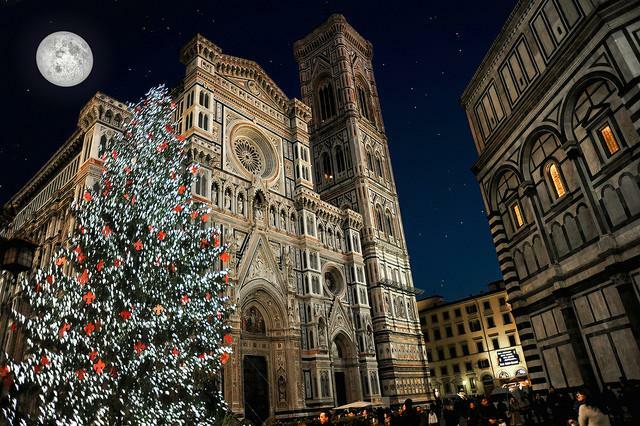 If you happen to be in Florence during the Holidays, it is well worth staying until after January 6th the day in which Italy celebrates our traditional gift-giving day, the Epiphany. And let me tell you, Florence has made this day something truly unique and amazing! To begin with, for women as well men, local or visiting, there will be the biggest SALE of the year beginning on Jan. 5th and lasting 60 days! If you love shopping, you will have the time of your life and the opportunity to buy gorgeous clothes and accessories at deep discount. And you might end up having to buy an extra suitcase! If you are one of those people not interested in shopping, there is a gift for you as well. Florence will offer you something splendid and unusual free of charge, the Cavalcade of the Magi. Started in the 15th century Florence, the cavalcade celebrates the day in which the Three Kings (the Magi) visited Baby Jesus and bestow upon him their precious gifts. So in modern Florence, there is a historical re-enactment of the Cavalcade of the Magi. The solemn procession with the three Magi on horseback leading it, consists of about 700 participants all dressed in sumptuous silk costumes inspired by a 16th Century Florentine fresco. The procession then meanders through the streets of downtown Florence until it arrives at the Piazza del Duomo, where the Magi deposit their gifts in front of a living Crèche.